Montecristo No. 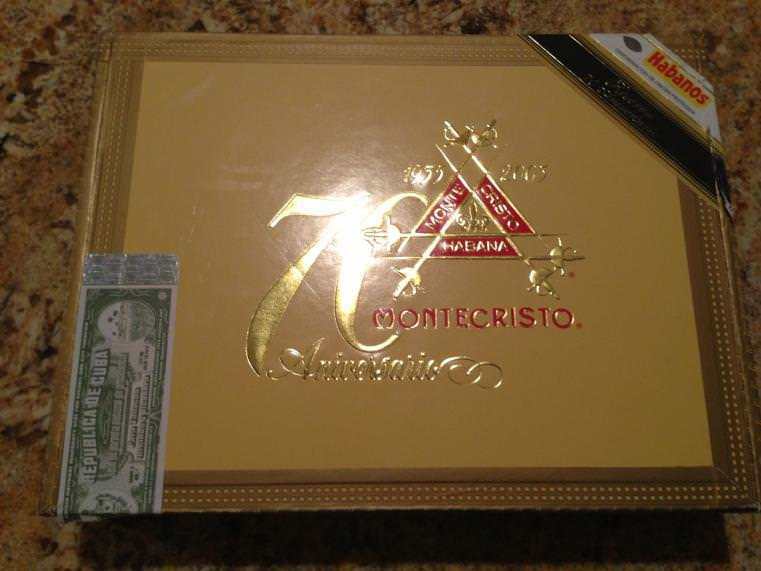 2 – Limited Edition 70th Aniversario2 Boxes of 25, 6 1/8 x 52Very exclusive Montecristo No.2. Extremely limited quantities. A good-looking torpedo with brilliant colour & oils. It has an earthy, leathery flavour, with whiffs of almond and spices. One of the best cigars in the world. A salubrious Maduro wrapper binds Vuelta Abajo tobacco, this is a powerful cigar jam-packed full of beany and peppery aromas.